Ep 21: Beware of Pinterest Syndrome! Whoo, we're legal! Well, actually we're 21 weeks but that's legal in podcasting years, so Kristen and Liz have a very funny discussion about what we were actually drinking at 21, versus now. (Uh, Kristen is mixing vodka with WHAT?) Then we have a little...okay, let's call it a vent session about Pinterest Syndrome. What's great about all those recipes and DIY photos and what makes us crazy. Because we can't be the only ones who look at some 32-ingredient "easy" Thanksgiving stuffing recipe and think, are you freaking kidding me? Plus, we share each of our cool picks of the week. You'll find all of the show notes and links for this episode of Spawned at bit.ly/SpawnedCMP. Don't forget to subscribe to our feed so you never miss an episode! 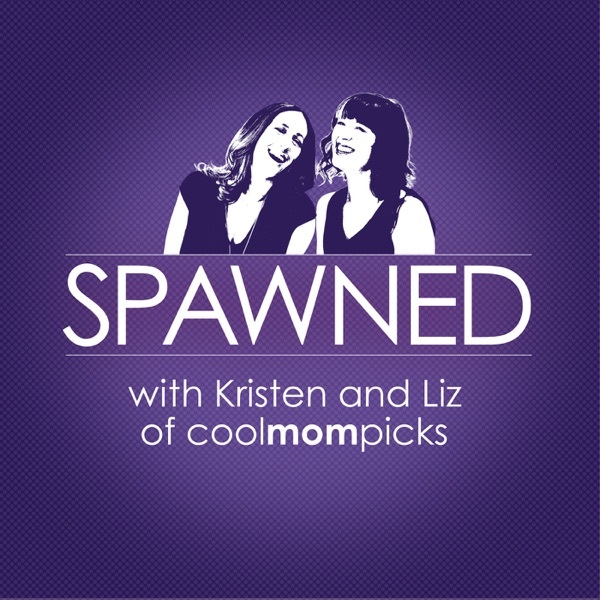 And if you have a question, comment, or an awesome drink recipe to share, email us at spawned@coolmompicks.com, or find us on Twitter using hashtag #spawnedshow. Thanks for sharing our 21st birthday with us! We raise a glass to you. This week's episode was sponsored by Amulet Books. Frank Einstein and the BrainTurbo is the third installment in the hilarious New York Times bestselling children’s book series filled with inventions, science experiments, and baseball playing robots, by former National Ambassador for Young Peoples’ Literature Jon Scieszka and mad scientist illustrator Brian Biggs.